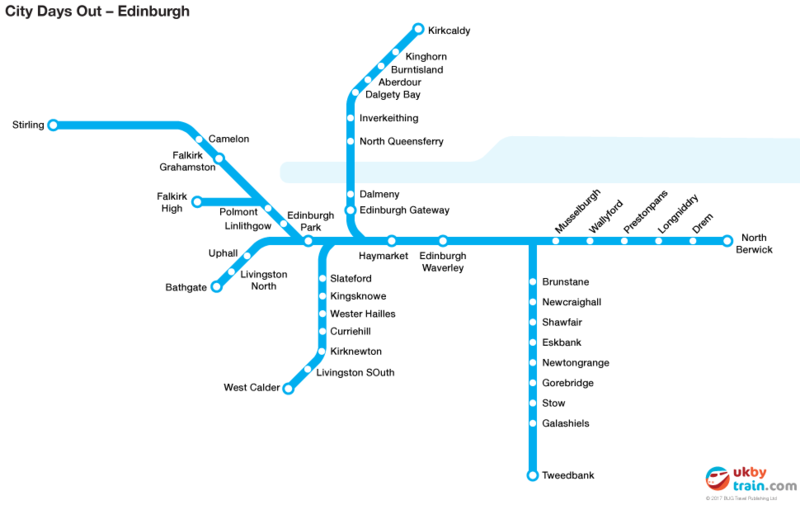 The Edinburgh City Days Out travel pass gives you two consecutive days of travel on ScotRail services in the region surrounding Edinburgh. It is ideal for day trips from the city and includes travel to Falkirk, Linlithgow, North Berwick, Stirling and travel on the Borders Railway. You can buy the Edinburgh City Days Out rail pass and download it directly to your phone. Click below for international prices and details about ordering online.